In retrospect, the playoffs are where equations have changed for the worse in Toronto. The Toronto Raptors have been dominating the NBA Eastern Conference for a while now after the addition of one of the best two-way players in Kawhi Leonard last offseason. They led the leaderboard for quite some time but are currently sitting at the second spot just a game behind the Bucks. Masai Ujiri had a roadmap in his mind when he let go of potential franchise cornerstone DeMar DeRozan in exchange for the Claw. As the Raptors front office laid end to a fruitful mid-season trade period, it sure looks like his plan of action is falling in place piece by piece. With just a sliver more than a quarter of games remaining in the season, the race to lead into the postseason is already underway. The trade activity in the east gave us a taste of what's coming. The Bucks, Sixers, Raptors have all infused some quality reinforcements into their squads and are ready to battle it out in the post-LeBron East era. Let's take a look at what the Toronto Raptors could come up with on the trade front before the deadline expired on them. Considering the immense pressure on the Raptors to make a deep playoff run - after being swept by LeBron over and over again - this surely comes as an upgrade to the current roster. 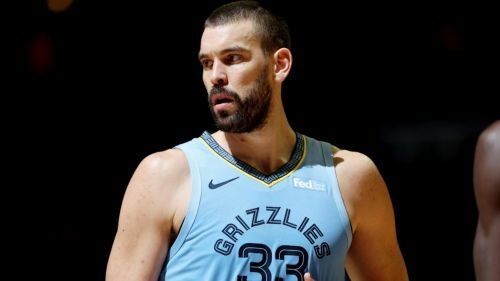 Marc Gasol is clearly past his prime, however, to land the Grizzlies franchise leader in points, rebounds, blocks, and FGs made to the squad at a relatively cheap price is what Ujiri deserves applauds for. 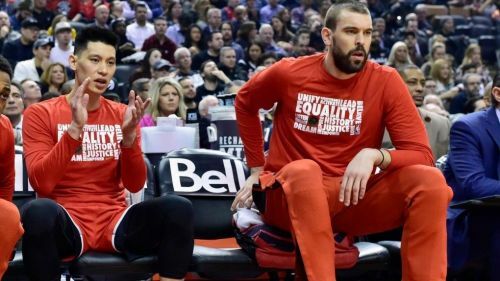 Gasol might be the last piece of the puzzle needed by the Raptors to make a playoff run compelling enough to make Kawhi stay past the oncoming summer. Gasol is averaging the second most assists(4.7) amongst centres in the league, along with a decent 15.7 points and 8.6 rebounds per game as well.